Home Online We’re turning 2 years old! So we’re celebrating with a new look. April 10, 2011 Online	Comments Off on We’re turning 2 years old! So we’re celebrating with a new look. We’re turning 2 years old! So we’re celebrating with a new look. As you may have noticed Interactive ME has a new look, thanks to our friends at Youngberry they have helped with the new design. 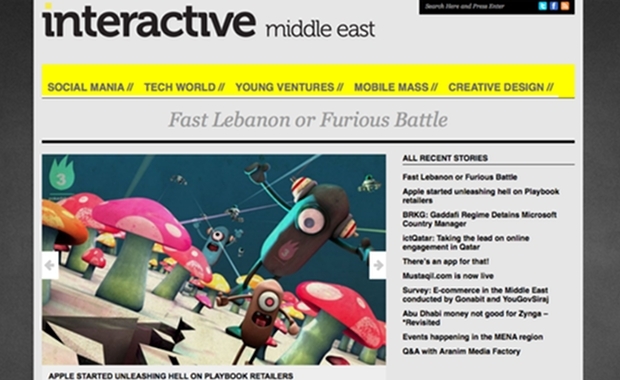 The new changes aim at placing Interactive ME as a leader for online and social news in the MENA region. We are still in the process of tweaking it and ironing out all the bugs, however the design change coincides with our second anniversary which will be coming up very soon in May. We also look forward to creating more interesting content and introducing new features to provide our readers with a better overall experience. The new design is worlds away from our previous design (which I personally liked, however it was time for something new) especially the homepage, previously it was just a simple listing with a big spotlight for the featured post. Now our new homepage offers more content and is structured in a way to give priority and list more items from sections we write about the most.